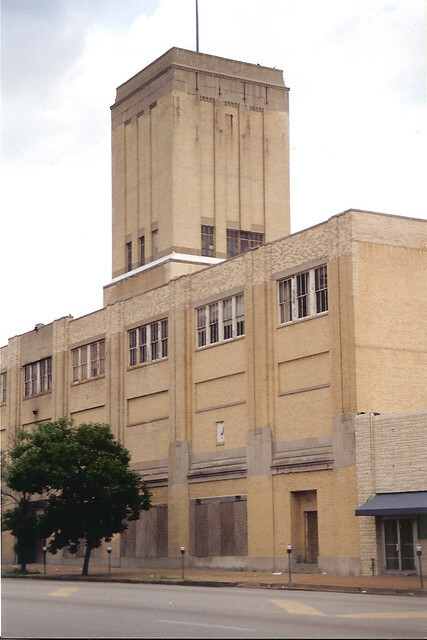 The Art Deco Sears store at 3708 South Grand Boulevard opened in 1929 as the company was expanding its retail store presence across the country. The company that had begun in 1888 as a mail order catalog opened its first retail branch in 1925 in Chicago. 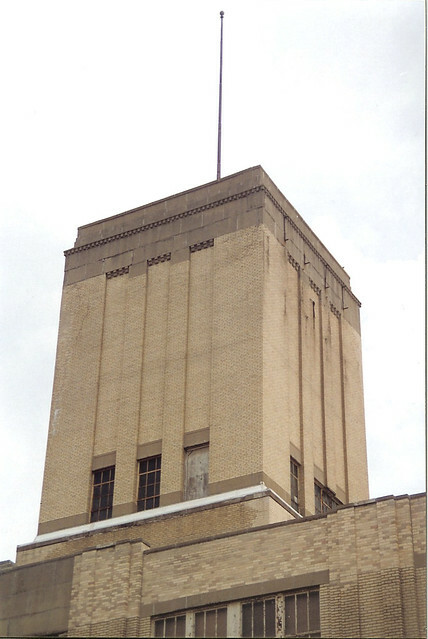 By March of 1932, despite the onset of the great depression, Sears had an empire of 381 stores across the U.S. Sears followed a prototype of urban neighborhood stores that were 2 to 3 stories in height and easily identifiable by their trademark tower element. Also opened in 1929, just two blocks north was another Art Deco landmark towering over Grand and Gravois, the 10 story South Side National Bank building. 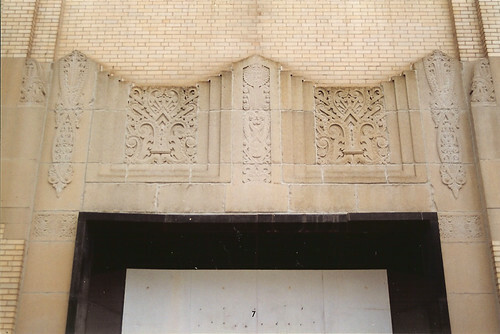 Art Deco stone details over the entrance to the South Grand Sears store. 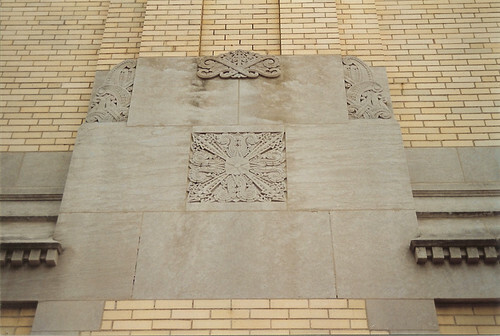 The South Grand Sears had beautiful Art Deco stone detailing. Its sister store built on North Kingshighway between Page and Franklin (now MLK) in 1938, while keeping the same form and proportions as South Grand, exhibits a much more modern look. Gone are the Art Deco details at each column, with the only ornament consisting of fluted limestone flanking the entrances. Horizontal banding of the brick above the entrances and storefront gives sense of streamlined form. 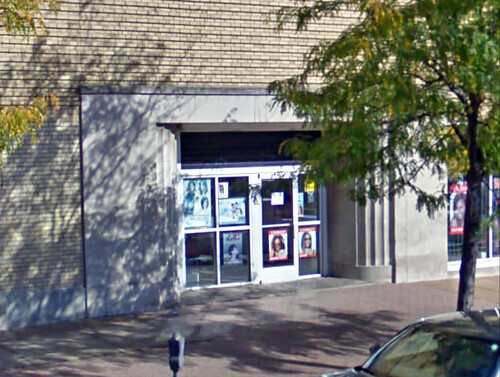 One of two entrances to the former Sears on North Kingshighway. Sixty years later though, Sears was going through some major adjustments and struggling against competitors. On January 25th 1993 Sears announced the closure of 87 retail stores in 33 states plus the District of Columbia. Included in that closure list was the South Grand Sears store. In the same year Sears also dropped production of its general merchandise catalog due to flagging sales. 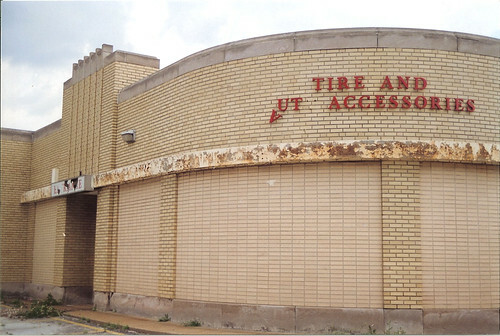 By 1998, the City of St. Louis had put out an RFP for redevelopment of the site of the abandoned store and parking lot occupying a full block between Arkansas and Tennessee Avenues. Development rights went to Pyramid Construction, an up and coming City homebuilder who proposed 26 new homes and a new commercial building along Grand. This of course included demolition of the Sears store building, which was paid for through City funding. possible that additional detailing was lost with the repair work. Even though this was the same year that the Missouri Historic Rehabilitation Tax Credit was established, my understanding is that no thought was given to re-using the Sears building as part of the redevelopment by the City or Pyramid. The re-use potential for the building was very high, as it had only been empty for 5 years, had little to no deterioration over that period and was structurally sound. I started work with Pyramid Architects in July 1999, just one month before the demolition permit was applied for by the residential development arm of Pyramid. When I asked why the building was going to to be demolished, the response was that it was part of the deal with the City. Art Deco design extended to the auto service area at the rear of the store. Unfortunately since the program was brand new, Pyramid had little experience with the Missouri Historic Rehabilitation Tax Credits. What experience it did have was with small scale residential rehabs in the Shaw neighborhood and a few in Forest Park Southeast. Pyramid was just starting a commercial division that year, and its eyes were focused on empty buildings Downtown. The commercial and residential divisions of Pyramid rarely cross pollenated. 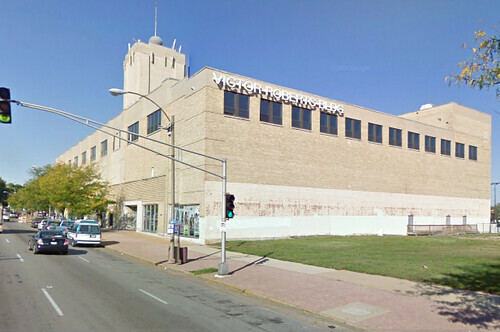 The North Kingshighway Sears saw a much better fate, and was renamed the Victor Roberts Building, the headquarters for the Roberts Companies. While the Roberts Brothers have a mixed history when it comes to historic preservation, their re-use of the Sears building is commendable. 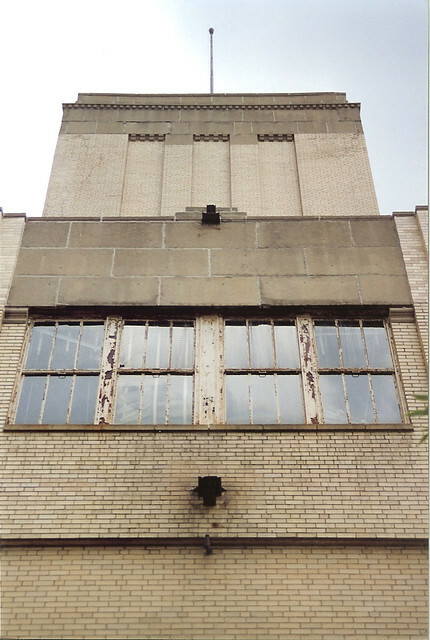 The South Grand Sears would have been eligible for listing on the National Register and there is no reason that it should have been demolished. Even without a full blown tax credit gut-rehab, the Roberts Brothers have shown that re-use of the old Sears stores is very possible. At the Roberts building the stainless steel escalators are still used to ferry people from floor to floor. is one of many examples of adaptive re-use of former Sears stores across the U.S. I am not aware that there was much outcry over the demolition of the South Grand Sears store, however it would be an understatement to say that I was out of touch with things happening in this part of the City at that time. If anyone remembers more about this, please comment. By the early months of 2000 demolition of the old Sears store was complete. This however was just the beginning of the story of this property. The empty Sears site on Grand with new homes rising beyond. 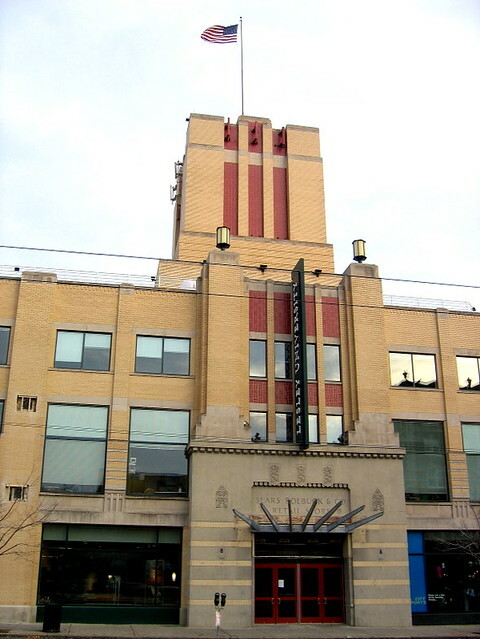 Later the same year South Side National Bank announced that they intended to sell their building to Walgreens, who intended to demolish the landmark tower for a suburban prototype store. Fortunately in this case, neighborhood activism stopped this demolition, led in large by Jennifer Florida, who would be elected alderman of the 15th Ward in 2001. 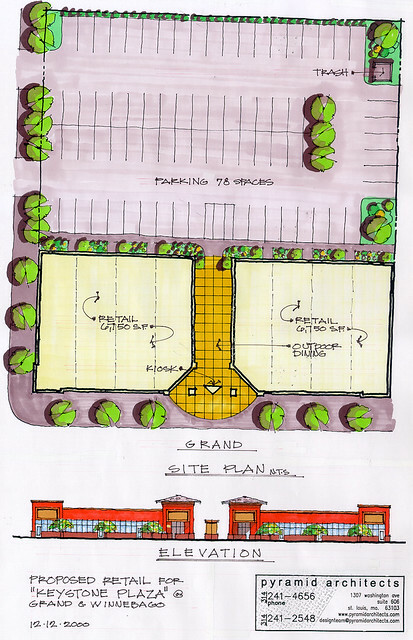 A failed plan for retail development on the former Sears site. Back at Grand and Winnebago Pyramid was having problems developing the commercial portion of the Sears site. After several years of marketing the site, the former Sears location still sat a vacant. In February 2005 however, a plan emerged that involved Pyramid swapping the Sears site for the existing McDonald's across the street. McDonald's would build a new suburban prototype store on the Sears site, and Pyramid would build a new apartment building for seniors on the McDonald's site. From the beginning, this plan seemed rife with logic errors. 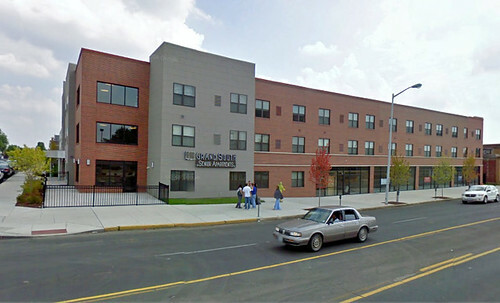 While we had nothing to do with the new McDonald's, Pyramid Architects did work on the senior apartment building. While we made it work, the sloping site where the old McDonald's was located was far from ideal, and the project also hinged on acquiring a non-historic storage building on an adjacent lot. The owner of this building was apparently not very cooperative. Fortunately, the St. Louis urbanist community was not cooperative about the new suburban style McDonald's either. Alderman Florida who had won wide support of her stance against demolition of the South Side National Bank found that support turn to vehement opposition when she supported Pyramid's McDonald's plan. Opponents held protests, attended meeting, hearings and even attempted to unseat Alderman Florida through a recall election. The topic was covered extensively on Urban Review STL. support of the McDonald's plan had these shirts printed. 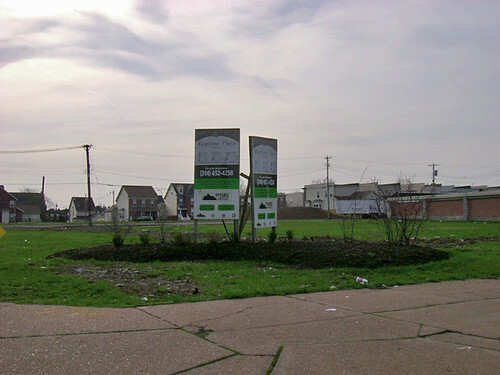 Ultimately in late 2006, those who protested the McDonald's plan won out when Pyramid announced that the land swap was dead and it intended to build the senior apartment building on the former Sears site, thus ending a seven year saga of the fate of a site that should not have been cleared in the first place. The new building got underway in late 2007 and was completed after Pyramid's demise in 2008. The Grand South Senior Apartments were completed in late 2008. while it is not a bad building, its relatively bland appearance is a far cry from the beauty of the former Sears store. One thing that was done right with this building was the introduction of retails spaces on the ground floor facing Grand.